In 1980, Grover developed a traditional style triangle beater that produces a rich, full sonority with minimal contact sound. 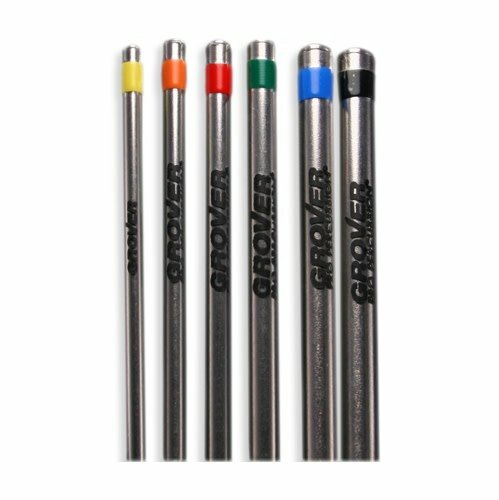 Grover Alloy 303 triangle beaters are extra long (8.9") and are available in six sizes and weights. Each comes with a special plastic coated handle for positive gripping and is color coded for quick and easy identification.